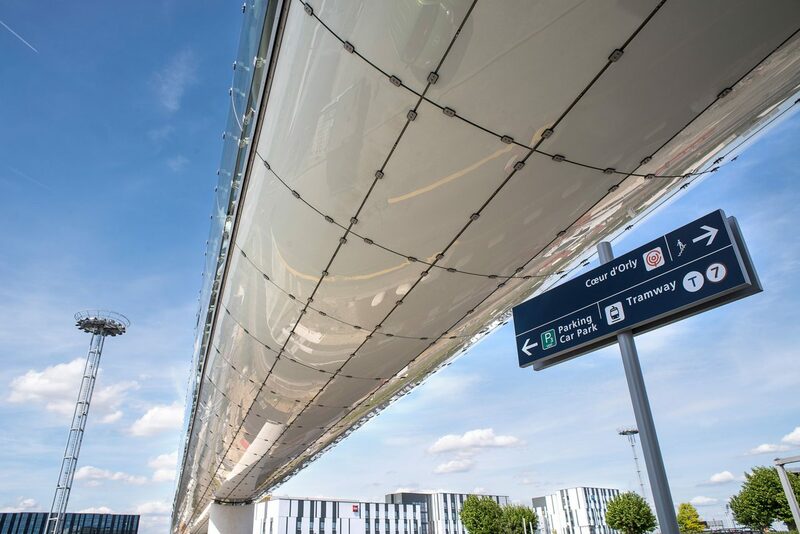 As part of the development of the greater Paris area, there are plans to build a direct link between Paris-Orly airport and the center of the capital by 2024. 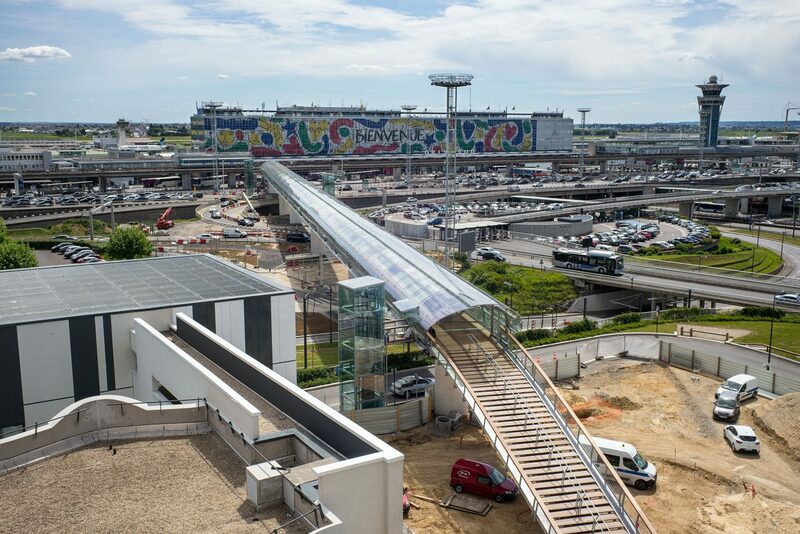 “La Passerelle Cœur d’Orly” pedestrian bridge is part of the comprehensive airport overhaul and modernization program. 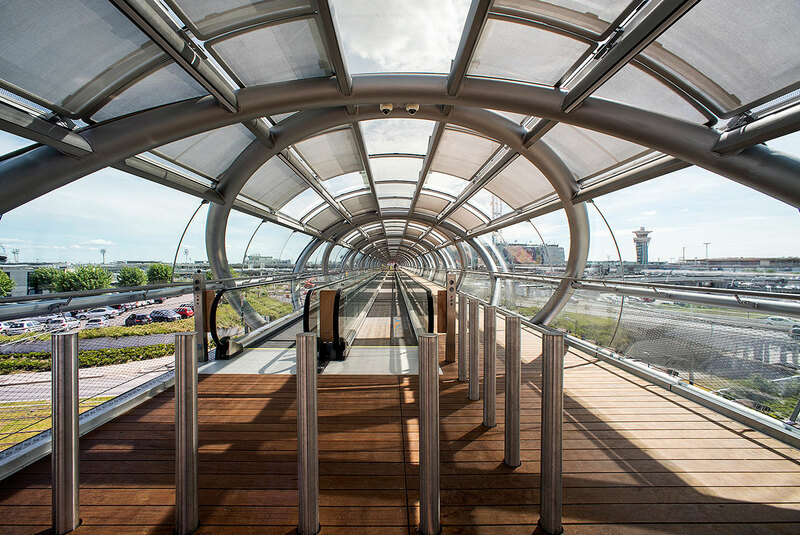 The pedestrian bridge has oval glazing, is 588 feet long and spans the road network at Paris-Orly airport. The primary steel bearing structure is comprised of a sloping arrangement of rings which are shored up on several concrete pillars, rather like a spinal column. 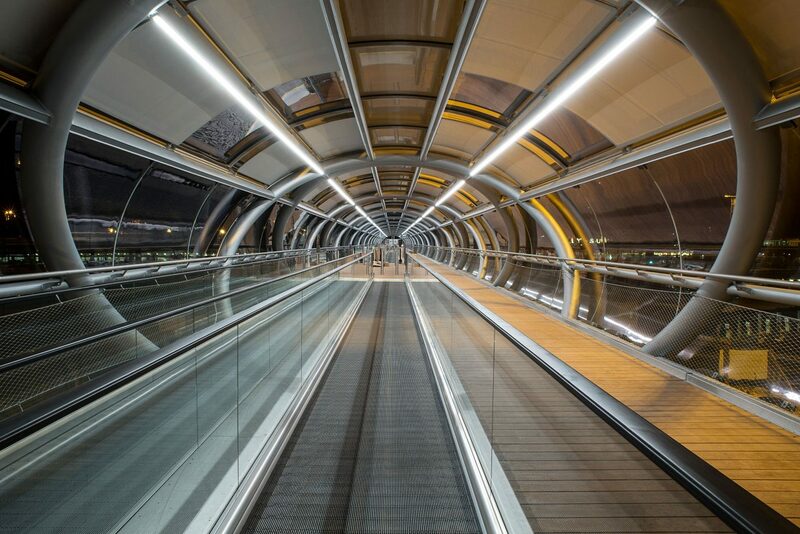 Natural ventilation ensures that the air can circulate inside the bridge as it has no air conditioning system. 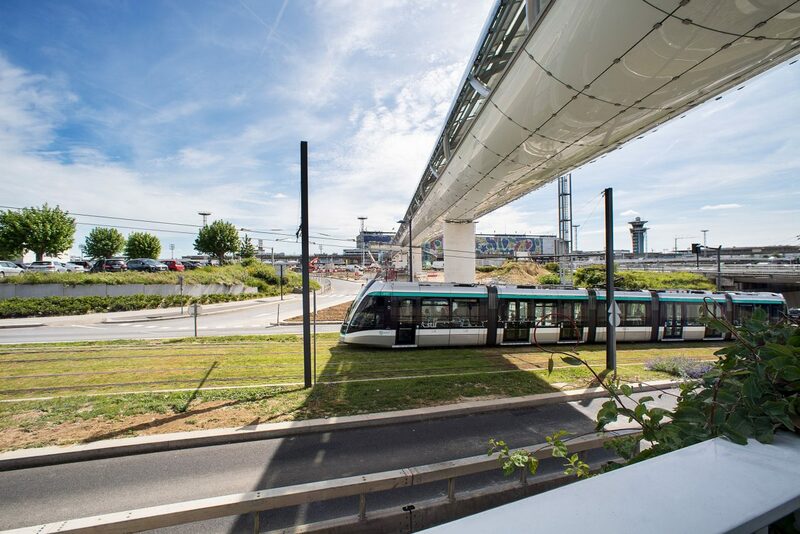 The curved glazing has solar control and thermal insulation in one coating and some interior solar protection, thus contributing to a pleasant climate inside the bridge. 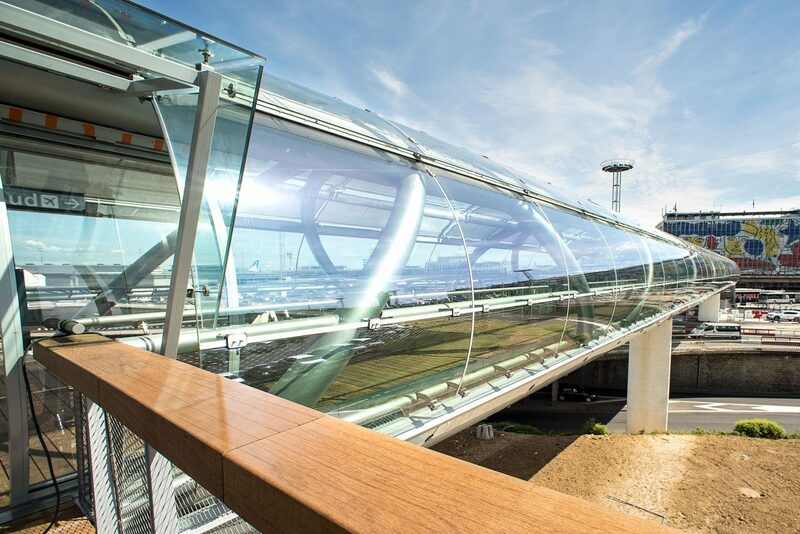 The underside of the bridge is fitted with opaque panels of glass, likewise curved. Three glazed lifts provide access to the bridge from the parking garages.